I hope you all came through last night in one piece. Enjoy your day today and may this year bring you everything you wish for. Except that unicorn, no body is getting a unicorn. I didn’t even make it to midnight last night. My bubbles are still in the refrigerator. The weatherman says we might see snow this week. He didn’t exactly say where so probably not here. Stay Warm. Be Kind. And as for 2018….well Thank you, NEXT! I love that word, next is how I’m feeling, it can only get better, right?! Oh give it a day….it can get worse! Happy New Year! 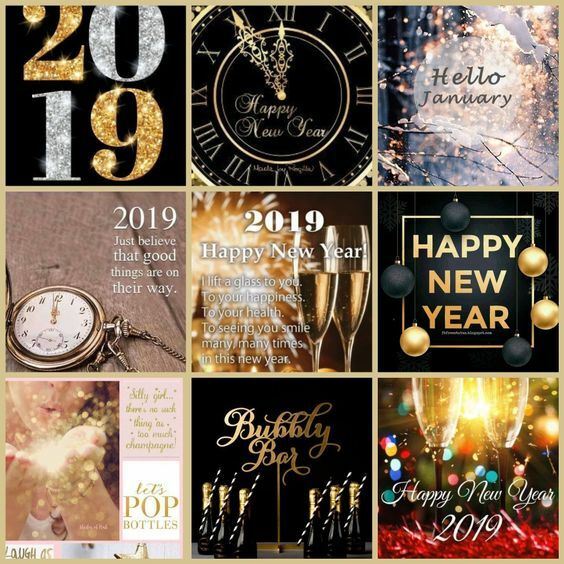 I hope that you have an amazing 2019! All the best for 2019. And I look forward to more Tea and more Tales. Thank you, how’s your year started off? Not too bad. No snow so that’s a plus! Do you get much snow where you are? Not usually. Once every 8 years or so. Theta not too bad… Where are you in the world? Nichols Hills Oklahoma for now. Is that a cold place to live? Not really. More like Dallas weather as we are 2 hours straight north of them. It’s snowed twice since I came here after Katrina. Did you have to move the after Katrina? I evacuated and didn’t go back. It was painful and years before things started to look familiar. Had a great job offer here so I stayed. That might have been hard… Big respect for pulling through. Thanks. I still want to go home though. Someday I will. Do you still have a place that was home or have you lost the land rights or whatever they have over there? No, the house was gone in the storm. I sold the land but there are lots of homes for sale. There’s a good chance then – did they fix it all up over there? I was under the impression it had been left for years to pretty much rot. It has taken many years but it is back. Not the same, but good. It always takes years to get back to some normalcy after a major hurricane, we are used to it. It’s interesting becasue from over here it seems they would have you believe that they fix it up in no time, but obviously that can’t be the case. Dpo you go back much to visit? Oh yes. I still have family there so a few times a year at least.